OLD COURTHOUSE: Voters will decide on a $393 million bond issue to replace the old structure. 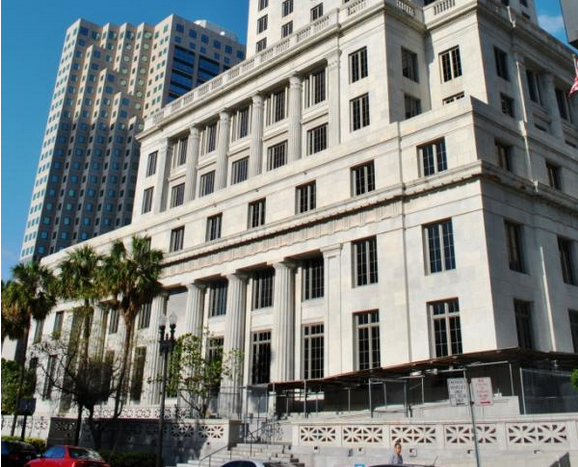 Disgusted, embarrassed and vaguely threatened by their decrepit 90-year old courthouse on Flagler Street, Miami Dade commissioners have decided to ask the voters to pay for a new one. Downtown workers have been seeing the nets and fence around the courthouse for at least 12 years, and they are in no doubt about the condition of the historic building. But those who have to work there know even better. Like Glenn Sheldon, whose office is on the 22nd floor. "I am surrounded by mildew," he says. "Mildew so thick I can write my name in foot-high letters. I don't actually touch it." State Attorney Katherine Fernandez Rundle sends her grand juries to meet there, and always feels bad about it. "It is an embarrassment," she says. "They come to what is supposed to be a beacon of our society, and what they come to is squalor." And Court Clerk Harvey Ruvin reminded commissioners that 90 percent of the 1925 building's structural columns are deficient. Thousands of citizens are legally summoned there every year for jury duty. If just one of them got hurt, "the liability in the part of the county and its citizens would be enormous." Commissioners voted 11-to-2 to ask voters for a $393 million bond issue to design and build a new courthouse. The sum includes $25 million to keep the old one standing for another five years. If the bond issue is approved in the Nov. 4 election, it will increase the average residential tax bill by about $14 a year. Henry Stone had soul. Henry Stone had rhythm. Henry Stone had beats. Henry Stone had an ear for what music people wanted to listen to, dance to and buy. He died August 7 in Miami. He was 93. Stone came to Miami in the late 1940s, recording musicians and releasing their music, including that of a young Ray Charles. 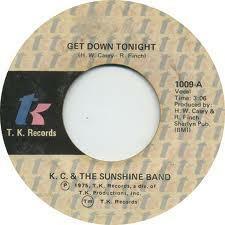 In the 1960s he founded TK Records. 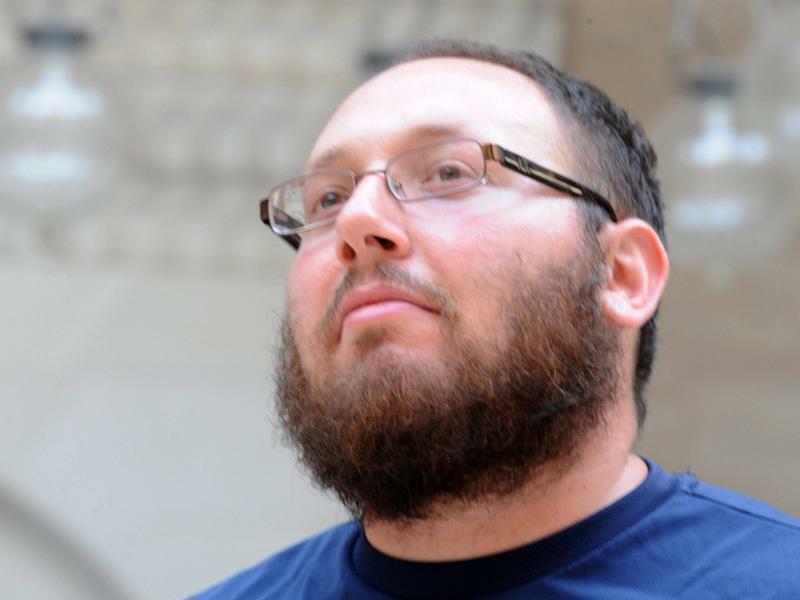 President Obama took time Wednesday to remember Steven Sotloff, the American journalist and South Florida native recently murdered by militants of the Islamic State of Iraq and Syria, or ISIS. 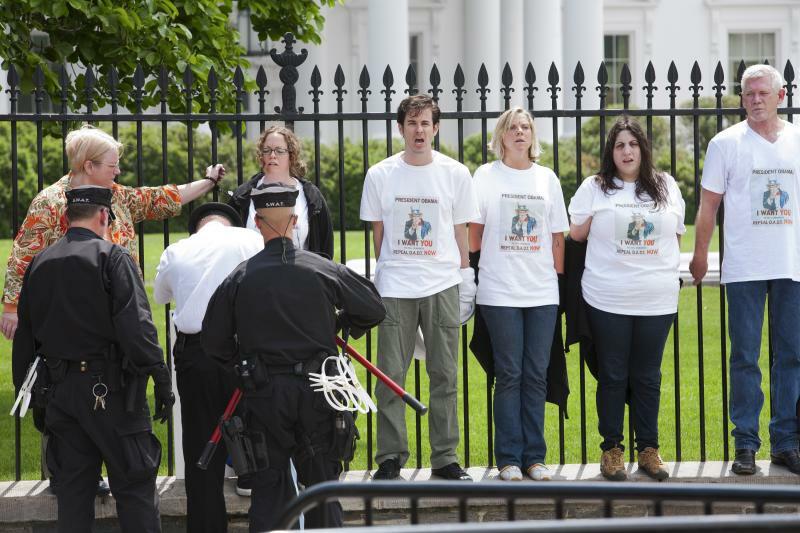 During his visit to Estonia, Obama called Sotloff a “devoted and courageous” Middle East correspondent. 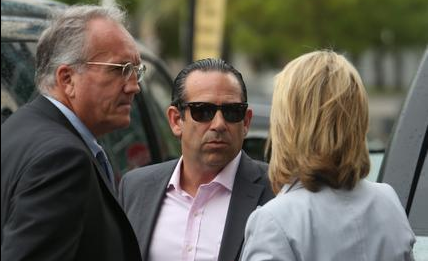 Anthony Bosch, former owner of the anti-aging clinic Biogenesis in Coral Gables, in August pleaded not guilty to charges of selling illegal steroids to baseball players. In October, Bosch will plead guilty to those same charges. He signed a plea agreement Wednesday admitting to criminal activity at Biogenesis. Bosch and six others were arrested last month on charges of conspiring to sell illegal steroids to professional and high school baseball players. José has experienced policy failure both communist and capitalist. José asked that I not use his last name to protect his family back home in Cuba. He arrived in Florida two weeks ago on a homemade raft, the kind of illegal exit that makes you a counter-revolutionary – a gusano, or worm – in the eyes of the communist dictatorship there. Economic despair in Cuba was the main thing that compelled José to float away. “Every day you feel like a needy person,” he told me.